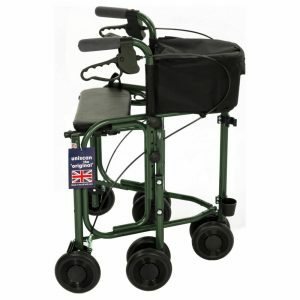 The Drive Nitro HD Rollator has a max user weight of 32 stone, extra height of 36 – 41″ ideal for taller users and has suspension which helps to ease aches and pains caused by uneven or rough terrains by reducing vibrations transmitted through the rollator frame when in use. 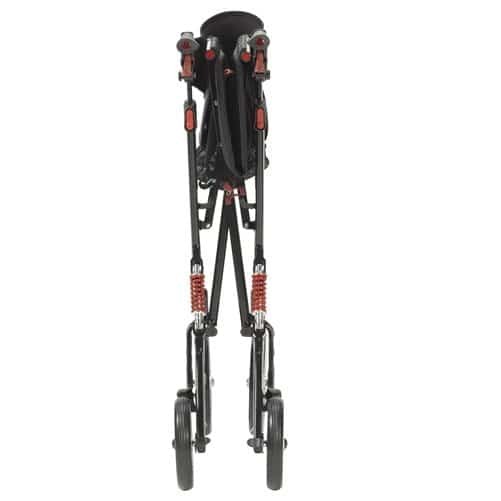 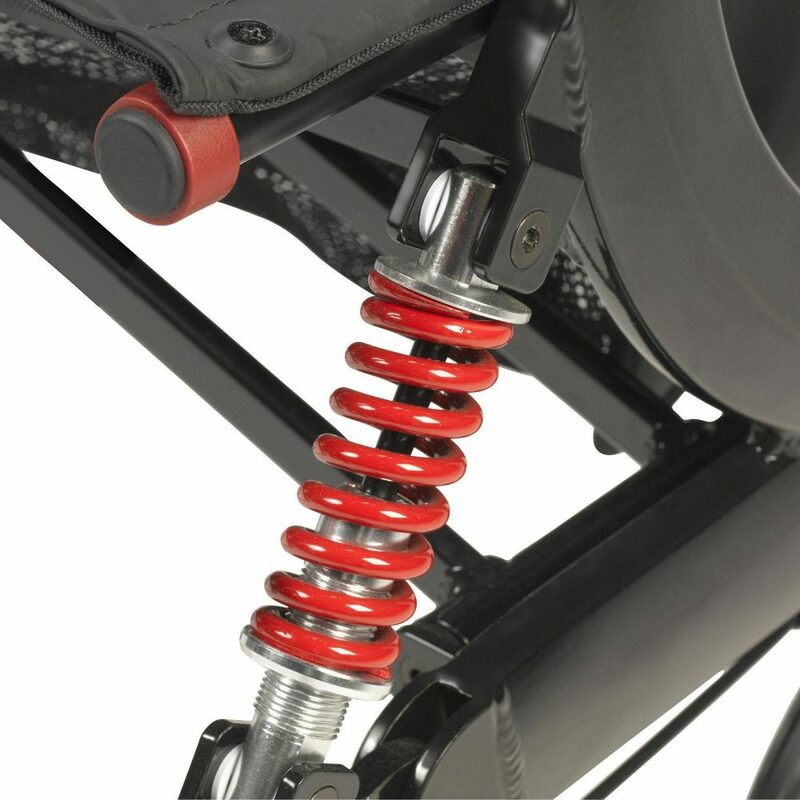 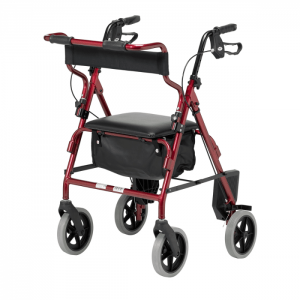 The lightweight aluminium frame and 10″ front wheels provide a much smoother journey and increased manoeuvrability. 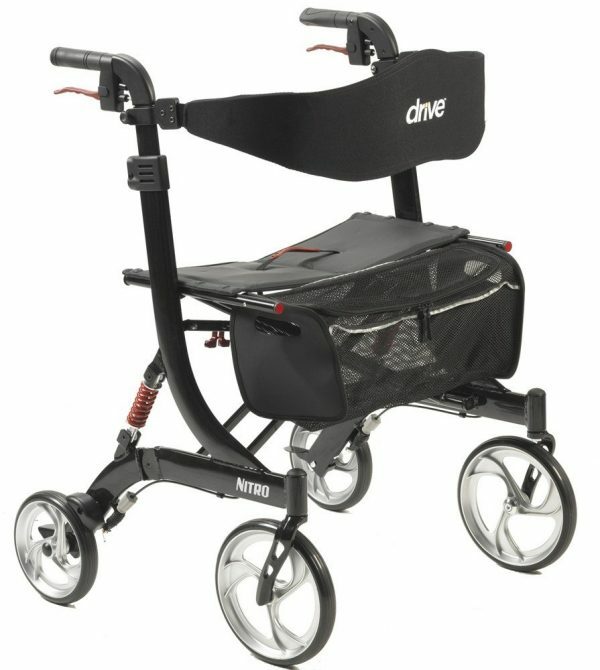 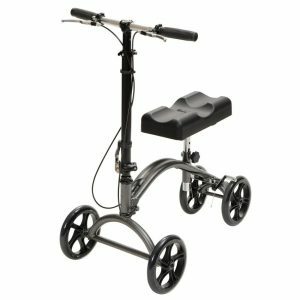 The Nitro HD Rollator is side folding for compact storage and transportation with a weight of 13kg. 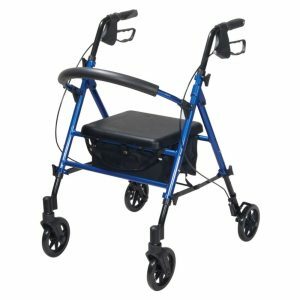 A handy seat allows users to rest when needed and a soft flexible backrest provides additional comfort and support whilst seated and features a removable zipped bag.